Hiring a skip bin can be quite helpful, especially when dealing with the waste generated when you do small projects. This includes spring cleaning or renovations. Waste accumulates rapidly if you don’t acquire a good system to manage it. Fortunately, this problem can be easily resolved in Newcastle by hiring skip bins. 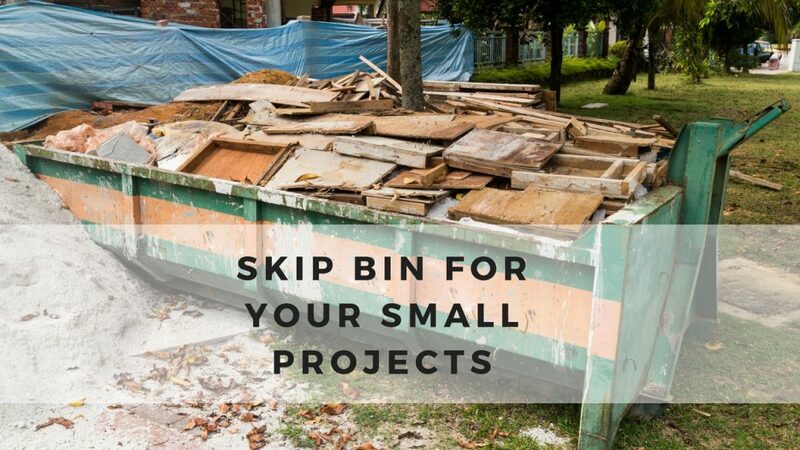 How can hiring a skip help you with your small projects? 1. Skip bins allow you to save a lot. Not only will it help you save money, it will also enable you to save time and energy you can use for other important things. People who choose to transport their waste on their own usually need to spend for additional vehicles or equipment. Add to that the fact that disposal facilities are usually located far away, especially to those who live in urban areas. You don’t have to go near your trash anymore since hiring cheap skip bins usually come with people who will do the dirty work of sorting out your trash for you. 2. Skip bins keep you safe. Taking you’re the sort of rubbish that goes in a skip bin to the landfill yourself puts you at risk of getting harmed. There may be dangerous waste materials– such as broken glass or rusty tin cans –or just heavy and awkward items. Hiring a skip bin makes the whole waste removal process a lot safer since the handling and disposal of the trash will be done by a professional. Newcastle Skip Bins will make sure that the team we send to our clients are knowledgeable in correct waste removal techniques. They will be doing their jobs in a professional, hygienic, and efficient manner. Companies that offer skip bins for hire are required to perform waste removal in a safe and responsible manner. Safety practices shouldn’t only be for the welfare of the client, but for the good of the environment as well. The waste you put in your skip bin is segregated and treated. As such, the environment remains to be a clean and safe place to live in. 4. Skip bins make buildings sites safer. Some wastes are produced as a result of renovation or construction projects. Whether a building is constructed for commercial or residential purposes, the main priority is to ensure the safety of the people working or visiting the site. Pieces of metal, glass, or cement shouldn’t be left lying around as they can cause accidents. Hiring a skip bin is an effective way to prevent such items from causing any damage. 5. Skip bins come in different sizes. Don’t underestimate the logistical needs of small projects like spring cleaning. The garbage produced from small projects can come in various sizes. Fortunately, skip bins for hire in Newcastle also come in different sizes. You can dispose of old or broken furniture by getting a large-sized skip bin, or get a small bin if that suits your needs better. No matter what amount of rubbish you end up with, there will surely be a skip bin that you can use. 6. Skip bins are easily accessible. It is quite easy to hire skip bins in Newcastle, especially if you hire from Newcastle Skip Bins. You can conveniently hire skip bins online. Just give details like the size of bin and the address where it is needed. Once you finalise the details, all you need to do is sit back and relax. Our professional team will do the rest for you! Are you planning to work on a small project anytime soon? Contact Newcastle Skip Bins for your waste removal needs!